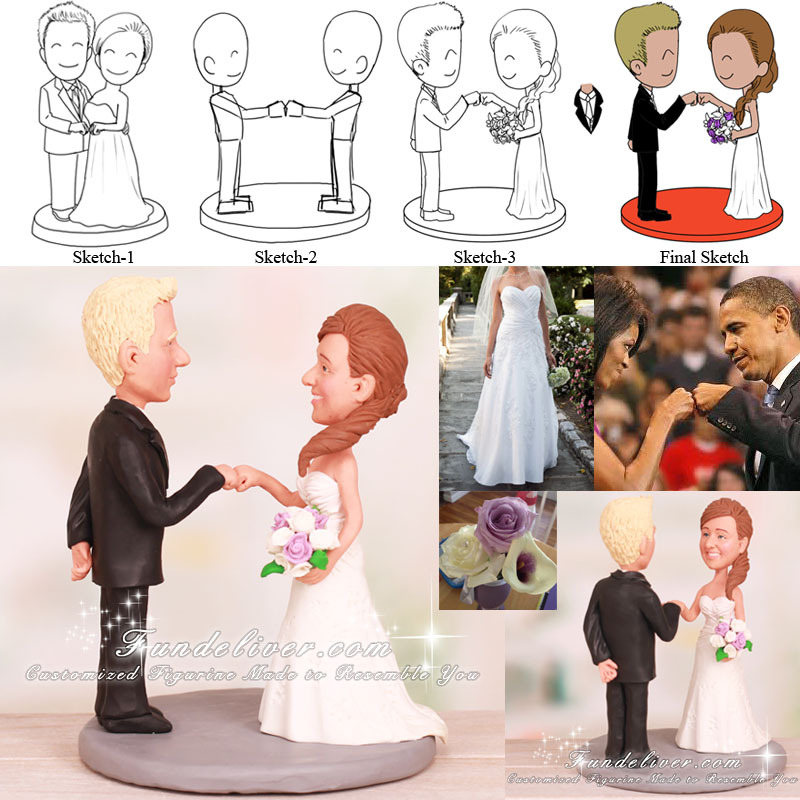 This is a completely customized fist bump wedding cake topper ordered by one of our customers. They would like the figurines to be fist bumping. It’s like the modern day high five but people say "pound it" or "fist it". The groom is wearing his black tux and the bride is in her white wedding dress, holding a bouquet in her left hand. "Fist bump" was what they did on their first date and means a lot to them. 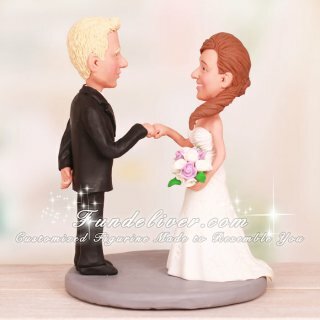 Thus they ordered this fist bumping cake topper.